"...Happy with the Services Provided..."
"In February, one of our strategic partners was in need of a tax professional in Mexico for one of her international clients. We reached out to TIAG for a member in Mexico City to assist our strategic partner. Within an hour of the initial request, we were put in touch with Pepe Ribe of Ribe Aguirre y Asociados SC in Mexico City. The strategic partner and Pepe Ribe had a discussion that same day which ultimately culminated in Pepe Ribe being hired by the client within the week. The client and our strategic partner are both happy with the services provided to date." "We received a referral from Jan Depoorter at SBB Accountants Advisors (Belgium). The referral concerned a newly established U.S. subsidiary for one of their Belgium-based clients. We were successful in signing up the client for compilation, tax return and other special services. We are already enjoying working with a good group of people at the local company." 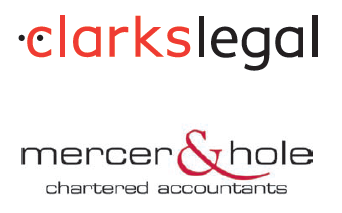 "...Delighted to Have Been Able to Assist..."
Mercer & Hole (London, England) are delighted to have been able to assist a financially distressed charity client of Clarkslegal (Reading, England - TAGLaw). The charity employed almost 400 staff to care for over 300 vulnerable people in over 40 residential settings on behalf of various local government authorities. Michael Sippitt of Clarkslegal and Chris Laughton, who leads our London Restructuring and Insolvency team, worked together on a strategy using direct communication and PR to have the local authorities recognize their risks and obligations. An accelerated M&A process led to a successful sale within three weeks with absolutely no disruption to the vulnerable people and their carers, and avoided a painful, disruptive and costly collapse." "Before joining TIAG, we would have had nowhere to turn"
"Several months ago, one of the firm's clients was considering bidding on a contract to be performed in China. I emailed Vivien Chan of Vivien Chan & Co. (Hong Kong - TAGLaw) and she responded with a long, detailed summary of issues to be aware of when doing business in China. Before joining TIAG, we would have had nowhere to turn to get this type of quick, informative and extremely generous response." "TIAG Gives us a Strong Position in the International Market..."
"TIAG gives us a strong position in the international market and mainly in Ecuador through our local firm. In 2013, we have had the opportunity to obtain multiple clients, highlighting an important LPG distributor in Ecuador, which allows us to get involved in the oil market and its derivatives." "...A Mutual Client for Four Years Now..."
"...Needed to be Done Very Quickly - And It Was"
"Deals Like These Really Highlight the Benefit of...TIAG..."
"...the Virtues and Geographical Reach of TIAG..."
With 280+ members of the TAG Alliances, our reach is expansive and multidisciplinary. TIAG® A Worldwide Alliance of Independent Accounting Firms.